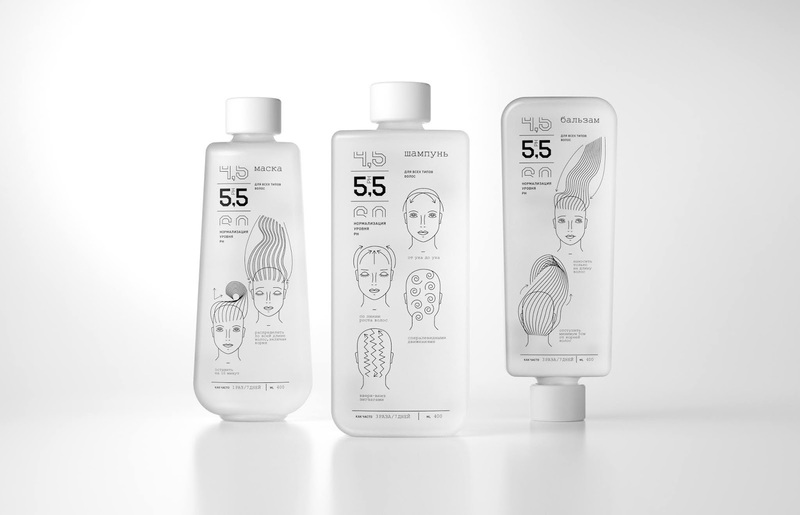 “5,5 ph” is a line of hair care products. That makes your hair naturally healthн by normalizing your sebaceous glands’ function. These products were created for active and individualistic people. The brand aims active women who lead an active lifestyle, love travelling and prioritizing freedom. It’s created for those who value their time and care about honest and effective natural practices. 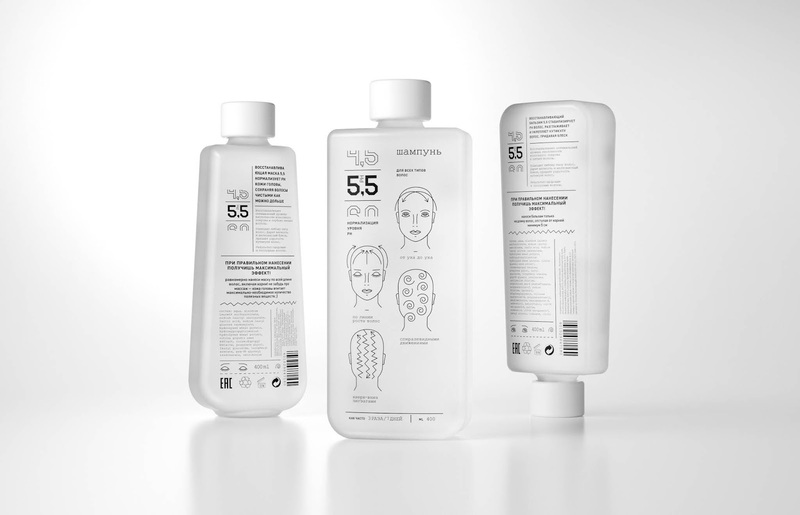 The basic ingredient of all nowadays shampoos is sodium lauryl sulfate (SLS). 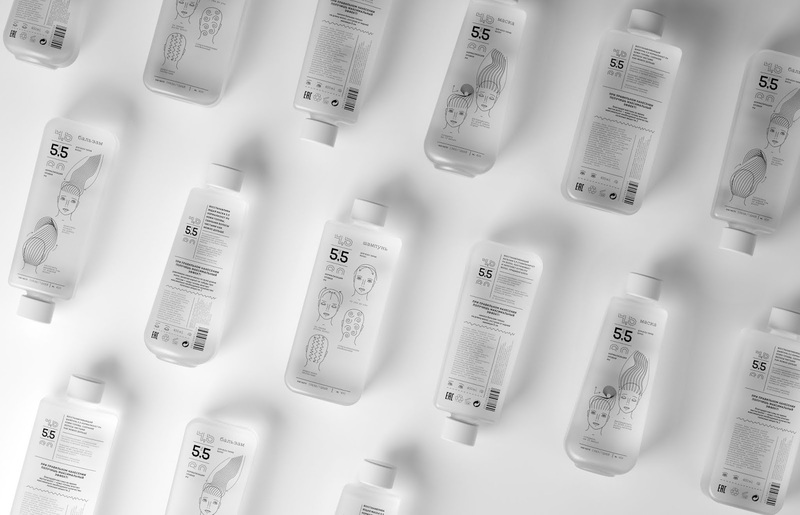 It is a surfactant that creates a lot of foam, which helps to wash hair faster. However, the hair gets dirty way faster, and demands washing nearly every day. That brings down its natural defense and makes hair weaker. Therefore, many people want to use a product that would help them to reduce time they spend on hair care. 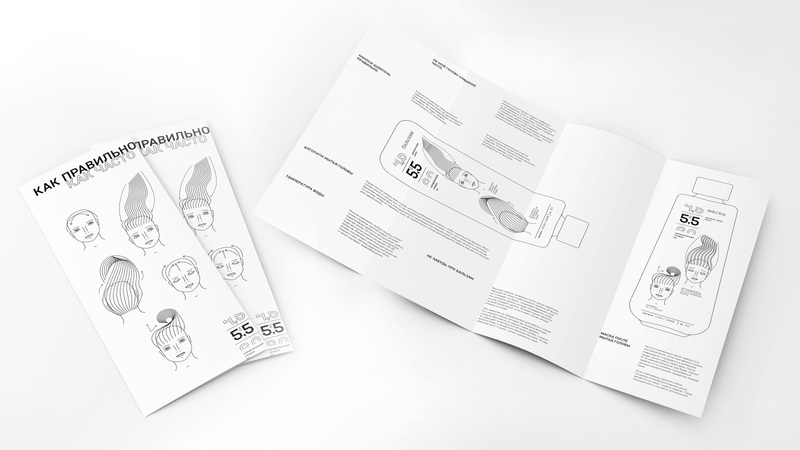 Customers need a product that would make hair naturally healthy. A product like this would be indispensible for dynamic lifestyle of a young woman, accentuating a unique character of its consumer. 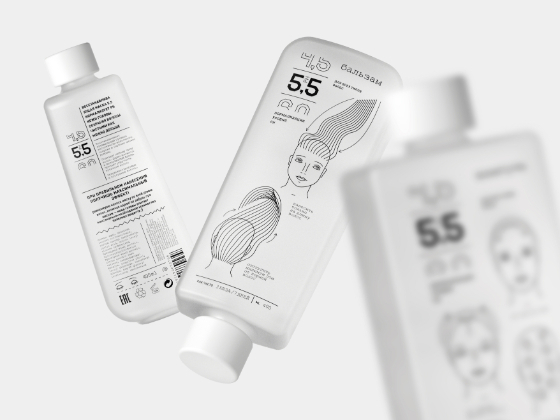 5,5 is a healthy pH level of the hair scalp. That’s makes our product suitable for all hair types. Shampoo: Apply carefully along hairlines, from temples to ears. It is important to wash temples well (while the majority of people don’t do so). Then continue down the hairlines from the back of the head to the vertex. This kind of massage stimulates scalp’s blood circulation. That helps the maximal amount of nutritional substances reach hair follicles. Hair balsam: many customers stay unaware that hair balsam should never be applied on the hair roots. Balsams create a greasy film on a scalp which bridges the pores and ruins the sebaceous glands’ functions. That brutally affects the scalp’s pH level. It is recommended to apply balsam on hair starting from 5-7 cm from the roots. Masque : hair masques may be distributed all along the hair length: from the roots till the ends. It should be applied carefully by massaging the product into the scalp. A common mistake many people make during their hair care rituals is using hot water. It leads to desalinization (or leaching) hair and it also stimulates scalp’s sebaceous glands activity. The optimal temperature for washing your hair is 45C. This helps to dissolute the hair sebum, remove the dirt. In addition to it, this temperature stimulates blood circulation. 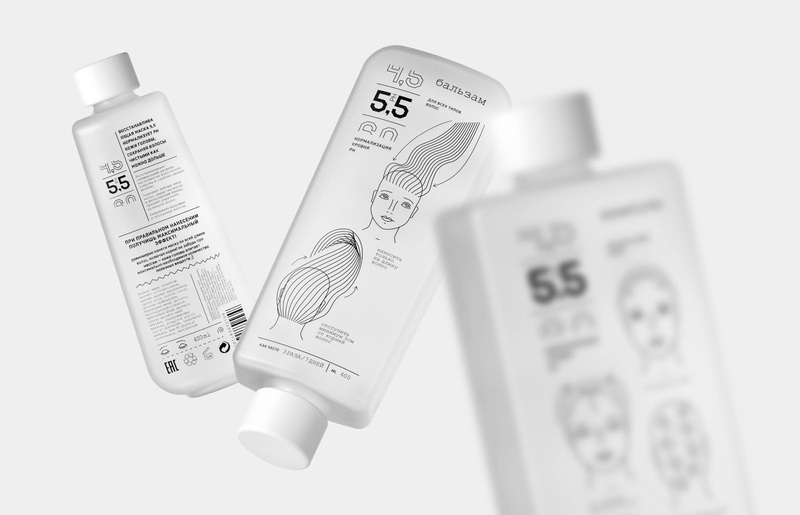 “5,5 ph” is about minimalistic design that communicates health and hair care culture.